I just read that Mockingjay, the last book in The Hunger Games trilogy will be split into two films. What do you think of this apparent trend as The Hunger Games seems to be following in the footsteps of Harry Potter, which divided The Deathly Hallows in two, as well as The Twilight Saga, which did the same thing? When Twilight fans see Breaking Dawn after it hits theaters on November 16 it will be an adaptation of the second half of the last book that they'll be watching and that they waited so long for. While I dislike the idea of having to wait six months to a year minimum for the second half of an adapation I do understand that it's a consideration when you have a long, dense and complex piece of fiction to force into the 1 1/2 to 2 hour format. I don't know how 'complex' Breaking Dawn is but at 756 pages, that's a whole lot of book to cover in one movie. You can understand the need to break that up a bit. After all, the most common novel-lovers complaint about an adaptation is most often centered around how much of the beloved story the filmmakers had to leave out, not that they spent too much screen time on any one scene or character or location. We want to see more of Harry and his pals wandering around Diagon Alley, not less. More of Katniss in action, more of Bilbo Baggins shire. Presumably breaking up a book—in this case the 450 plus page Mockingjay—gives you a better chance of covering all its' bases. That must be what Peter Jackson has in mind for his upcoming adaptation of The Hobbit. He originally planned to break the 300 plus page book into two feature films but has since decided to do it in three movies. Three! On the downside, fans of the book will have to wait longer. On the plus side, fans of the book will have even more opportunities to engage with material they love. What do you think? Are these 'final chapters' worth the wait? The Hunger Games was a mega monster smash hit when it opened earlier this year, totaling nearly $700 million worldwide. 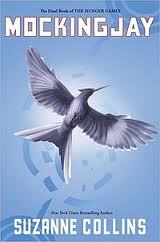 What will Catching Fire do when it hit theatres on November 22? It won't beat that $700 million dollar figure but with the Twilight series singing its' swan song this month, the producers are betting on Catching Fire to fan the flame and bring the fans back for Mockingjay parts one and two coming in 2014 and 2015. Catching Fire had the fourth biggest November opening ever, making over $221,000,000 domestically after just one week in release. Add the international take of just over $200,000,000 for a whopping $421,956,000 total. Hard to imagine Lionsgate's gamble of breaking Mockingjay into two films not paying off. Is the second Hunger Games coming out already? That means I'll have to read it very soon. I think 3 movies for The Hobbit is way OTT. (I'll be seeing it in New Zealand when it comes out! I'm not a big Hobbit fan to tell the truth, but I am looking forward to seeing it for some reason). Yes in fact the director of the first of the Hunger Games trilogy backed out as he felt it was too rushed. 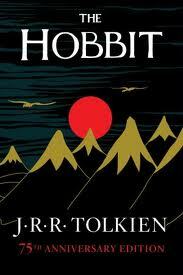 I agree with you about the Hobbit but I'm soooo jealous you will be seeing it in New Zealand. Did you see the Air New Zealand safety video I posted? Hilariious!